Carlos Rudolpho Hadaway, a 20-year resident of Fountain Hills, passed away Feb. 14, 2017, in Scottsdale after a gallant fight with brain cancer. For over 45 years he lived in and loved Arizona, from the desert to the mountains. It was symbolic that he found eternal peace on his beloved Arizona’s birthday. Carlos was born on Aug. 15, 1941, in Portsmouth, Va., and was raised in San Diego, Calif. He was the oldest of six in a family known as The Wild Bunch. While still a child, he suffered blindness twice and underwent six eye operations to eventually regain his sight. As a youngster, his keen interest in art was encouraged and nurtured by his third-grade teacher, Sister Helen Theresa. In his early teens, when the family spent two years in Sasebo, Japan, his Japanese art teacher exposed him to portraits, sketching, landscapes and the appreciation of nature. Many of his cartoon panels can be seen at the Veterans Museum and Memorial Center in San Diego. During his Navy days, he also created the original logo for the San Diego Padres, the little bat-swinging Friar. In the early 70s, Carlos relocated to Arizona. While working for Montgomery Ward, he launched his professional art career and became known as “The Arizona Kid.” As a child he loved going to the movies on Saturday mornings to watch the westerns so popular in his generation. As he grew, he never lost his fascination of the Old West and the western lifestyle, so it was natural that his deep-rooted passion was expressed through western art. He once stated, “When I paint the cowboy life, I’m painting my vision of heaven.” His favorite medium was oil on canvas, although in the early years he worked with watercolors and pen and ink. When not painting, his favorite pastimes were cowboying and collecting western memorabilia. Carlos participated in top shows in all the western states and garnered numerous awards, including Best of Show at Old Town Tempe’s (AZ) Festival of the Arts and the George Phippen Popular Award at the George Phippen Western Art Show in Prescott, Ariz. One of his paintings hangs in the Arizona State Capitol, presented to the State of Arizona by Supreme Court Justice Sandra Day O’Connor. Licensed by Anheuser-Busch, Carlos created a series of six western prints featuring Budweiser that became a collector’s item. As an artist, he appeared on television, radio and in newspapers and magazines. His work is found virtually all over the world. In the early 90s, Carlos was delighted to be selected as the Grand Marshal at the Pine Country Pro Rodeo in Flagstaff (1992) and as the Grand Marshal at the world's oldest rodeo, Prescott Frontier Days (1994). In 1999, Scottsdale’s Parada Del Sol, one of the oldest rodeos in the country, commissioned Carlos to create the original artwork for the year 2000 celebration. In March 2016, the Town of Fountain Hills honored Carlos with their annual Legacy Award. The Legacy Award was created to recognize an individual or organization who/which has played a unique or outstanding role in the development of Fountain Hills, Fort McDowell, and Verde Communities. He was highly appreciative of the recognition. 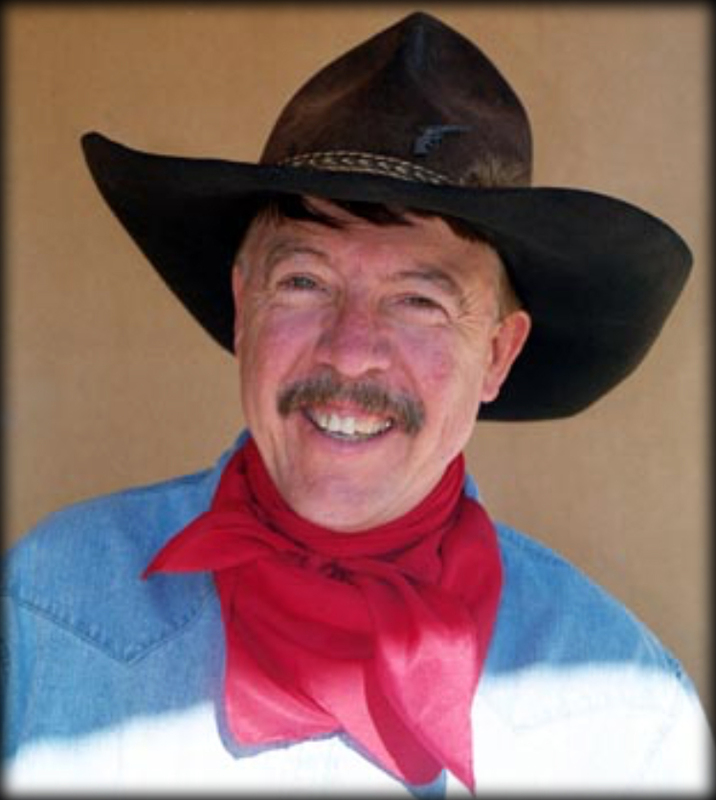 In the spring of 2016, a large contingency of friends gathered funds to pay tribute to Carlos by having a copper plaque cast of his likeness with the following inscription: “In honor of Carlos Hadaway, ‘The Arizona Kid.’ US Navy Veteran - Accomplished Cowboy - World Renowned Western Artist - Cartoonist Extraordinaire - Incredible Story Teller - Mentor to Many of all Ages - Philanthropist to Numerous Charities - Grand Marshal at Parades in Prescott and Flagstaff Carlos Hadaway--The Arizona Kid: World-famous, award winning artist known for his Western Art oil paintings, devotion to the American West and just being a cow-punchin’, rope slingin’ singing cowboy. Love of his country is evidenced not only by his service in the U.S. Navy, but also for his giving nature and generous spirit. In addition to his beautiful paintings, Carlos has created comic strips, commercial logos, including the first San Diego Padres logo of a small friar at bat, and a famous collection of drawings for Anheuser-Busch. We continue to appreciate and respect his contributions to our world. Dedicated to Carlos by his many friends – 2016.” The Friendship Plaque hangs in the Fountain Hills Community Center next to a painting he donated to the town several years prior. It was a great surprise for him and he was excited to attend the dedication ceremony. Carlos observed the world through rose-colored glasses, both figuratively and literally. He always bloomed where he was planted and saw the positive side of every situation. His enthusiasm for life was contagious and genuine and his bear hugs and love of people were legendary for those who knew him. He was a popular motivational speaker at many civic organizations and churches because of his upbeat and optimistic outlook on life, no matter what the circumstances were. Carlos, his father and his three brothers all served in the military. He was an ardent supporter of AMVETS Post 7 and VFW Post 7507. If you never heard the account of how Carlos became a member of the Navy despite the thick glasses that he wore throughout his life because of poor vision...well, that’s a story for another day. But it’s yet another illustration of how he never let life get him down. He loved the sport of football and waited impatiently for football season each year. It started around the time of his birthday and there was no better birthday present in his mind. Of course he rooted for the Arizona Cardinals, but he tended to follow a quarterback instead of a team. However, he was unwavering in his love of his favorite college team, the Fighting Irish of Notre Dame. The only conflict came when Notre Dame played the Naval Academy's Goats. Over the years, he particularly relished the many wins of Navy over arch rival Army. Go Navy! Shortly before he retired in 2006, Bonnie, a Welsh Corgi rescue, joined the family and became his constant companion. In retirement, many new friends came into Carlos' life as he and his cherished Bonnie took daily walks around Fountain Park and visited with both residents and visitors. It's not a stretch to say that Carlos never met a stranger. Carlos was preceded in death by his mother, Jeannette Hadaway, adoptive father, George Hadaway, and a brother, John Hadaway. Survivors include his wife of almost 28 years, Nancy; children, Anthony Hadaway of New York, N.Y. and Holly Hadaway; siblings, Jeannette Hadaway (Von Peterson), San Diego, Walter (JoLee) Hadaway, Chino Valley, Ariz., Michele Lindseth, Youngtown, Ariz.; and George (Lynnmarie) Hadaway, Surprise, Ariz.; cousins, nieces, nephews, aunts, uncles, and countless friends. A memorial service will be held at Messinger Mortuary in Fountain Hills at a later date. Interment will follow at National Memorial Cemetery in Phoenix. In lieu of flowers, wife, Nancy suggests donations to Focused Ultrasound Foundation, 1230 Cedars Court, Suite 206, Charlottesville, VA 22903, fusfoundation.org or the American Brain Tumor Association, 8550 W. Bryn Mawr Ave., Suite 550, Chicago, IL 60631, abta.org. Author John Grisham succinctly describes the upcoming medical technology of focused ultrasound in his short story, The Tumor (available free on the Internet), which has the potential to improve the quality of life for brain cancer (and other) patients.